The Cleggett family with Jim Critchley. L-R: Jim Critchley, Leo, Alice & Jacqueline Cleggett. I am Jim – back in 1963, at the age of 13, I first came to the west coast of Ireland, leaving my home in Chorley, Lancashire, England for the very first time . I was with my older brother George and was very excited to come to Ireland. We were fishing and camping at the time, a car was out of the question! The trip over seemed a very long one, by train, ferry and bus and even trolley. Arriving in the sleepy village of Oughterard we camped and fished at Lough Corrib for a couple of days. Deciding to move on we were walking back into Oughterard for transport when we met an elderly lady, during our conversation she said that she owned a guesthouse and asked us if we would like to stay. Her name was Leonora and ran the guesthouse with her sister Molly. The guesthouse was located on the site where Londis is now and the arch windows on the first floor are still the same as they were all those years ago. We decided to stay and we soon were enjoying the delightful food the sisters prepared, them being bakers, we were given scones, jam and homemade bread. Before long Leonora introduced us to her relatives over the road, Jack and Julia Cleggett, they ran a small toffee shop with their three children: Alice, Jacqueline and Leopold. Julia being very kind offered to take my brother and me with her and her three children on a tour in her Morris Minor estate around Connemara and the beaches at Roundstone. We were amazed at the beautiful scenery which I have never forgotten. Also from the age of 13 years old I have never forgotten the kindness of Julia who introduced me to this wonderful place. 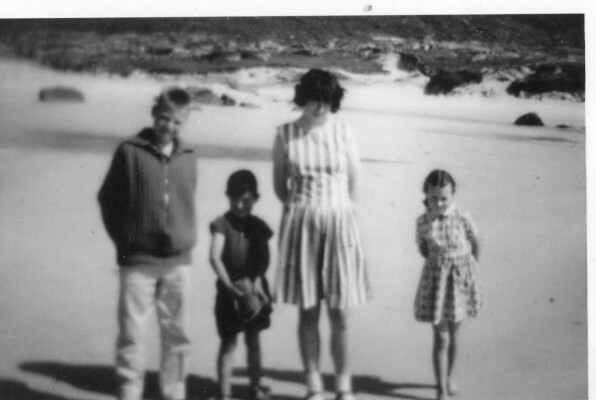 It is now 50 years since I first came to Oughterard and I have now returned with my wife Carole. I am pleased to say that I have managed to contact both Jacqueline and Leopold Cleggett, unfortunately I have been unable to see Alice as she has moved to Canada. Oughterard has changed in the last 50 years with the hustle and bustle of the tourists and more young people celebrating in the evenings, but I bet the little sleepy town I remember still remains in the wintertime.